I’ve asked this question to myself quite a few times already. Should I upgrade from the Galaxy Note 9 to the Galaxy S10? Based on what we know so far about the Galaxy S10 series – and we know quite a bit – it might make sense to take the plunge. Like many of you, I am also very excited to see the Galaxy S10 in the flesh. It will be Samsung’s 10th anniversary flagship and there are a lot of expectations from this device. Whether or not it meets them is another matter. With Samsung offering as many as four different models of the Galaxy S10, we’ll be spoiled for choice. So let’s use the process of elimination for a bit. The absolute beast of the Galaxy S10 model with a 6.7-inch display and 5G will be of no use to me. There won’t be any 5G networks coming online where I live at least, for the foreseeable future. So it would make little sense to opt for this model when I can’t utilize its unique selling point. To opt for the entry-level Galaxy S10 would make even less sense in my case. Even if I were to get enticed by the latest Exynos processor or the Infinity-O display, it wouldn’t make much sense going down from a device with a 4,000mAh battery to one that has a rated capacity of 3,000mAh. None of the other specs would make a strong case for shifting over, either. This leaves me with the 6.1-inch Galaxy S10 and the 6.4-inch Galaxy S10+. One of the reasons why I moved from the Galaxy S8+ to the Galaxy Note 9 was the larger display, battery and the overall improvements. This effectively rules out the Galaxy S10. So the 6.4-inch Galaxy S10+ appears as a viable option for Galaxy Note 9 owners like me. Let us zero in on the specs. The Galaxy S10+ will feature a 6.4-inch Infinity-O display, possibly with a dual front camera. It will have an Exynos 9820 processor under the hood (or the Qualcomm Snapdragon 855 in select markets). The base version should have at least 6GB of RAM and 128GB of storage. It may also include a triple camera system at the back. A primary 12-megapixel Dual Aperture lens, a 123-degree 16 MP (f/1.9) wide angle and a 13 MP f/2.4 lens telephoto lens will make up the system. It’s clear that the Galaxy S10+ edges out the Galaxy Note 9 in some specs, at least on paper. Throw in additional features such as reverse wireless charging and an in-display fingerprint sensor and you’ve got yourself a rather compelling package. So this is where the price consideration comes in. At nearly $1,000 for the base model, the Galaxy Note 9 wasn’t a cheap smartphone. Reports suggest that the base model of the Galaxy S10 could start from $1,100. This leads to an immediate difference of a few hundred dollars for customers who buy their devices outright. It might make enough sense for some customers to go ahead and upgrade and might not for others. Those who do upgrade will be leaving behind the S Pen-specific features on the Galaxy Note 9, which I’ve found to be quite useful in my line of work. Not to mention the fact that Galaxy Note fans may not want to give up their S Pens in the first place. But those who aren’t diehard fans of the S Pen are sure to wonder if they should upgrade from the Galaxy Note 9 to the Galaxy S10, and the answer is relatively simpler if you can justify the added cost and don’t have much use for the S Pen. If you’re in the other camp, then perhaps it would make more sense to wait it out. All of what you get on the Galaxy S10+ will eventually arrive on the Galaxy Note 10. And we already know that there’s going to be a 5G variant of that as well. Personally, I wouldn’t have hesitated in upgrading to the 5G Galaxy S10 (reportedly called Galaxy S10 X) if I could use its marquee feature where I’m based. There’s no use buying it otherwise and that’s one of the reasons why it will only be sold in select markets. Of course, the limited availability will still disappoint many, as the 5G variant is expected to get some crazy specs, like a 6.7-inch display, a 5,000 mAh battery, and possibly six total cameras. Now, if you’ve got a Galaxy S9 or Galaxy S9+, then it’s an entirely different proposition. I’d upgrade in a heartbeat. But already owning a Galaxy Note 9 gives me cause to think prudently about this question. I may have a different opinion once I get to try the Galaxy S10+ for real, which is going be the case for many of you as well. I’ll be sure to update you on that after February 20. What are your views on the matter? Does owning a Galaxy Note 9 make you feel less interested in upgrading, or have you already decided the Galaxy S10 is going to find its way into your pocket? Let’s get a conversation started in the comments below. 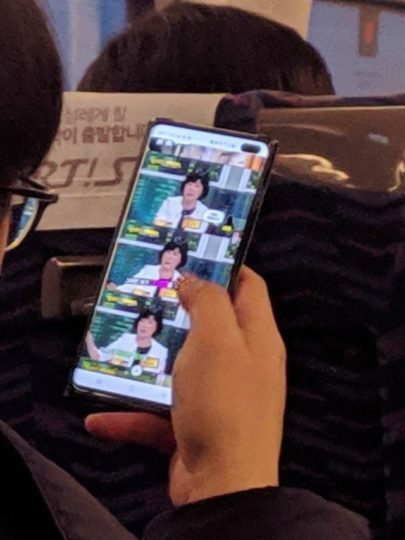 Note 9 owner here. I have already spent 800 EUR on this one, so if ever gonna upgrade to something else, it could be the Note 10 when the price will go down. No way I’m gonna pay 1000 EUR on a phone again, after the mistake I made with the iphone XS Max. I don’t understand those who buy a new phone every 6 months. If you have a Note9 then absolutely NO way you need to upgrade to the S10. Give it at least a year and go for Note 10 but even yearly is excessive. Too many people who foolishly burn money. 2 years is good, 1 year is pushing it but every 6 months? COME ON! More money than sense I guess. If you recognize the value of the S Pen, then the S 10 is a huge downgrade from the Note 9. I’ll see what the Note 10 has to offer or maybe wait for the Note 11. Samsumg will have to deliver a huge update with the Note 10 to draw me from the already almost perfect Note 9. The way prices are going I might end up getting a Note 10 when the S11 or Note 11 comes out. Pretty sure he/she means when the S11 or Note11 come out the Note10 will price drop since it’s no longer the current mode and noot expecting the 11’s to be price dropping like you seem to think that is what’s being said. Read and pay attention to what is said “end up getting a Note 10 when the S11 or Note11 comes out” means waiting for Note10 to price drop once it’s no longer the current model a year or so after because the prices are getting absolutely ridiculous lately. For me, it will always be a “downgrade” considering the display. From a niece a clean display to one with an ugly hole in it! I remember the times when I used to hate the SONY Triniton CRTs due to the lines that there were stretching along the entire display. No, a big NO-NO! I don’t like notches but the holes are even worse! Tech journalist in general don’t appreciate the Note Use Cases and therefore ask silly questions to Note owners. I absolutely agree with you. It boggles my mind how they don’t realize that for those who actually value the Note series, the S series is an unacceptable downgrade. I’ll even take the Note 5 over the S10 any day. I prefer a clean screen with no holes or notches so I’ll stick with my S9plus for quite some time. Also I don’t see why the jump from the 9-series to the 10-series would be that much bigger than any other jump. The only time I remember we had a really big difference was from the 5 tot the 6, because of the materials used. The same …holes, notches, tear drops are ugly and taking screen size. I say no! 2 reasons… first, it’s not a Note and I have stuck with Samsung because nobody offers anything similar and I need the s-pen; secondly, it has a stupid hole/notch and I hate that crap so for me, I’m sticking with my Note8 and if the Note10 has a hole/notch then I’ll skip and stick with my Note8 until this stupid fad/phase of notches passes. Damn you Samsung for giving in to this ridiculous trend. Now if they could just get rid of the edge display for the Note series…who would voluntarily write on a curved paper? So why should you write on a curved display? It has no practical use. It’s just for the bling. I write notes a lot or sometimes formulas to automatically convert them, but the edge has always annoyed me. Also, it causes extra reflections. I find it a big issue. why people will think if we dont have 5g network we dont need 5G mobile ? I would say wait till price of 5G drops and than buy 5G S10 as one day you might require 5G mobile. Eg: My L950XL was broken now i dont have 4G mobile my saving grace was L1020 with 4G capabilities. The S9 and Note 9 has no punches. Windows Mobile is dead. Even Microsoft said so. Why are you even here,if you are a Microsoon fan? You compare a phone running a dead OS, or more like a junk OS like win10 mobile with the current devices? got an Upgrade from S7 to Note 9 for half the price just a couple months ago, I’ll be sticking with this for around 2 years and will surely ready for note 11. I just upgrades my S7 edge to a 9+ I really love it. 🙂 And it is only around 350 euro after cashback from Samsung. I personally do not see a lot of difference between the S9+ and the 10 as far as I can see. Especially not with a 1100 euro pricetag… It is just not worth it in my eyes. 🙂 Smartphone evolution became boring. The only reason why I upgraded was because my screen was horrible burned in. Nope but I’m from S7 Edge and definitely upgrading to S10 plus because of the screen size and storage capacity and the under the display fingerprint scanner. The folding phone is a no-no for me. I think with this Samsung’s price level most users will not go for S10. Probably can be nice change try a new brand. Many do, actually, even if not many, especially with trade-ins. Just an opinion post, though, for that reason. With the Samsung Galaxy Forever program with Sprint, you can upgrade every 12 months. In Note 9 user manual they removed mention about schedule for night mode. On S9+ is is mentioned. But on Note 9 they removed it. Ah, interesting, so we can expect the Note 8 and S8 to not get it, either. It makes no sense. People who bought the Note 9 did it for the S pen. Therefore, they’ll be buying the Note 10, NOT the S10+. This question is only a real question for people who bought the S9+. And there the answer is still no. The S10 will offer nothing that justifies spending another 1000€, EVEN if you have the disposable income.